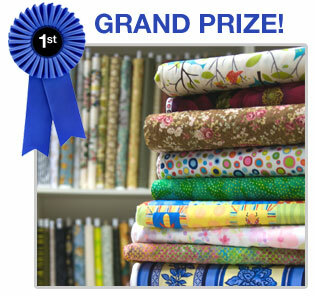 GRAND PRIZE: 20 years of free fabric! 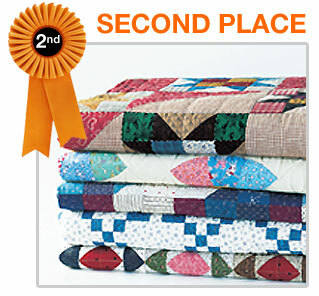 2 2nd place winners: 1 year of free fabric! 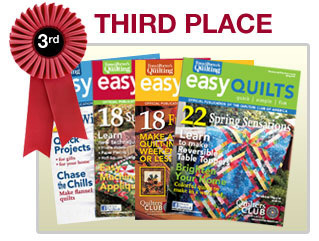 50 3rd place winners: 1 year membership to Quilters Club of America, includes magazines, free patterns, and video access. Had to share this one! Last post I told you about how I share all the giveaways I enter on my Twitter account. I am also part of a Pinterest board that shares giveaways. Check it out here. This entry was posted in Giveaways and tagged craftaholics anonymous, fabric for life, giveaway, keepsake quilting, quilter, quilters club of america, quilting, washi tape on November 14, 2013 by christinapertz1.